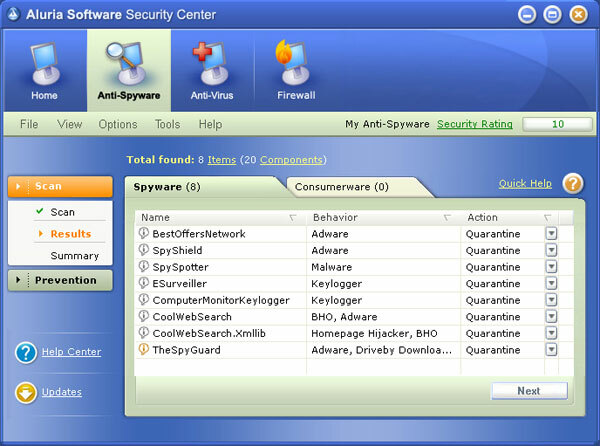 Aluria Anti-Spyware is a well-known spyware remover with standout advanced features. Some time ago, it was one of the leading spyware removers. 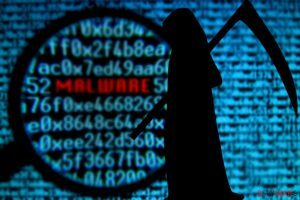 However, it lost its respective image a few years ago, when Aluria Software (an EarthLink company), the program’s vendor, decided to partner with WhenU, the infamous adware software maker. As a result, Aluria Software removed all the signatures of WhenU products from its product’s malware definitions database. Nevertheless, Aluria Anti-Spyware is an effective, quality product. The application checks the Windows registry, running processes and web browser cookies. It can thoroughly examine files residing on local and network drives, or scan only user-defined locations. Aluria Anti-Spyware provides reliable real-time protection called Active Defense Shield, which is able to detect and terminate running malicious processes and prevent new spyware from being installed. The program blocks access to unsafe Internet resources, disables harmful ActiveX scripts and prevents browser hijacks. Spyware definitions database is updated on a regular basis. Other functions are Scheduling, Alerts, Activity Log, lists of removed and trusted items. The program’s scan engine is not very fast. The Full scan often takes more than 20 minutes, while the Quick scan needs approximately 8 minutes to complete. Of course, this depends on the computer’s configuration. However, the program revealed practically identical results on all our test machines. One of the best sides of Aluria Anti-Spyware is the graphical interface. It is very attractive, intuitive and convenient. Just take a look on the screenshots provided below. The program requires a fast PC to run properly. Minimum hardware requirements are 700 MHz processor and 128 MB of memory. 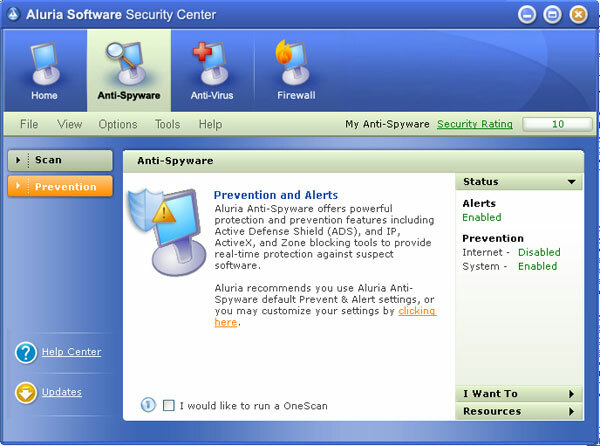 Aluria Anti-Spyware can be purchased as a separate product, or as a part of Aluria Security Center, a comprehensive suite consisting of an antivirus, spyware remover and firewall. 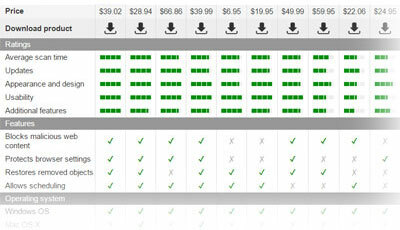 The suite has the fully functional trial version, which expires after one year. This makes Aluria Anti-Spyware worthy of evaluation and daily use. The official web site is www.aluriasoftware.com. 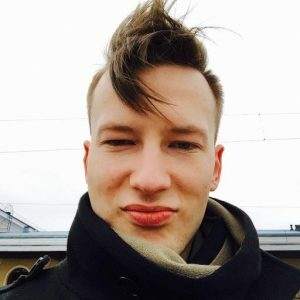 Purchases are made using secure connection. This entry was posted on 2014-05-16 at 10:21 and is filed under Anti-Spyware, Software.